Ari Roitman joined the Philadelphia Eagles in December 2010 as the Senior Vice President of Business. In his role, Roitman oversees revenue generation for the Eagles across key business areas such as corporate partnerships and premium sales and directs the team strategies tied to the monetization of its TV, radio, digital and social media assets. Prior to his time with the Eagles, Roitman spent nine years at Major League Baseball corporate offices in Manhattan, starting as an account executive in 2001 and advancing to serve as Vice President of Corporate Sales and Marketing for his final two years with the league. A 1998 graduate of Cornell University with a degree in psychology, Roitman worked for three years at SFX Sports Group before his tenure with Major League Baseball. Roitman was born and raised in Cherry Hill, NJ. He attended Kellman from pre-school through eighth grade, graduating with the Class of 1990. Reflecting on his experience, Roitman has described KBA as an extension of the home and has attributed the warm, community-based and family environment of the school as one of the keys to his career success. Treating others with respect, working together, listening, valuing the right things and placing the utmost worth on human interactions are ideologies that Roitman espouses daily to his staff. These are principles and values he attributes to his parents as well as to his time at Kellman Brown Academy. Roitman credits Kellman Brown Academy with teaching him the importance of establishing a strong sense of belonging and identity, principles he credits in part to his Jewish observance, and ones he utilizes daily to create the best possible culture and work environment for his staff. Andy Friedman is a legend in her own time. An outstanding educator, inspiration to students and colleagues alike, and a passionate supporter of Israel and Judaism, Kellman Brown Academy is blessed to have had such a remarkable individual on our staff for the past 30 years. Andy grew up in Camden, NJ and graduated from Camden High school. She pursued her goal of becoming a teacher, graduating from Boston University with a degree in Education. After teaching in the Boston school system for four years, Andy (now married) and her husband Josh relocated to Cherry Hill where Andy continued teaching elementary school in Camden. At this same time, she began teaching Israel and Holocaust Studies in several area Hebrew High Schools, and was a sought after guest lecturer about the Holocaust in many local secular high schools. Never one to sit on the sidelines, Andy has been a true community leader. She was the co-founder and Vice President of The American Technion Society Women’s Division, South Jersey Chapter, and the very first recipient of her chapter's "Award of Recognition." She served on the Boards of both the Katz JCC, and the Jewish Community Relations Community (JCRC), and is a proud Lifetime Member of Hadassah. Andy has also been the recipient of numerous awards that demonstrate her deep commitment to the Jewish Community.  They include: The Jewish Educators Assembly "Jewish Educator of the Year" award from Congregation Beth El, The Helen and Harry Pinsky Memorial Award for Outstanding Jewish Professional Leadership, and The Honey and Maurice Axelrod Award for Holocaust Education by the NJ Commission of Holocaust Education. Andy's passion and commitment to Holocaust Education led to her selection as a participant at a special seminar at Yad Vashem in Israel. Andy’s commitment to Israel is well-known. She has traveled to Israel 24 times, including one special trip where she participated with 185 IDF soldiers on a mission to Poland. During Israel's second Lebanon War (1986), Andy refused to be a bystander and instead volunteered with Sar-El, the Israel national project for volunteers, doing military relief work on an army base. Andy helped establish the Charles E. Trobman Oncology Management Center at Tel Aviv’s Rabin Medical Center. In support of this effort, a large fundraising event was held at Congregation Beth El where Andy was honored for her efforts by both Congressman James Saxton and Congressman Rob Andrews, and Cherry Hill Township issued a proclamation designating June 1, 2005 “Andy Friedman Day.” She was later presented with an award for her work at Rabin by Prime Minister Ehud Barak's wife Nava. At Kellman Brown Academy, Andy’s students continue to inspire her as she, in turn, brings her love of Israel, Jewish Studies, and devotion to Holocaust Education to them. Andy's children are proud graduates of our beloved school, and are just a few of the thousands of students she has taught and affected with her love of Judaism. Andy's greatest accomplishment is her family – Josh, a judge and her husband of nearly fifty years, and her children – Robyn, Adam, Stefanie, Neil, Jonathan, Carly, Lisa and Ronnie. Her 11 grandchildren bring her such joy and nachas, and she is so excited to have them all here with her this evening. As Andy is fond of saying, "Every time a Jewish baby is born, it's a VICTORY!!" and she has made this her life's mission. She is very honored to receive this award. From a very young age, Gail Lipsky knew she wanted to be a teacher. She was in awe of every one of her grade school teachers, and to this very day, she can tell you their names and their individual talents. They were her role models, and she was determined to follow in their footsteps! And we here at KBA are so glad she did. Gail grew up in Northeast Philadelphia as the only child of Bea and Sol Weller. Performing well in school was most important to Gail. She was encouraged by her parents and her teachers to always strive for her best and to challenge herself to reach for highest goal. Her parents were avid readers and helped instill in her a lifelong love of books. Gail’s family also placed great importance on Jewish traditions. Gail fondly remembers celebrating holidays and life cycle events with her extended family, and because of her family, Judaism also became a core value of Gail’s life. Given the strong influences of her early life, there was never a question as to what Gail would major in at college. Her acceptance into Temple University’s College of Education was no surprise to her family or friends. After graduating, she began her teaching career as a third grade teacher in the Philadelphia School System. While still in high school Gail met her future husband, Richard, at a BBG/AZA dance. They married soon after their college graduations. After the birth of their second daughter, they decided the city life was not for them, so they moved to the “wilds” of New Jersey and settled in the town of Cinnaminson. Wanting to meet and make friends in their new community, they quickly joined the local synagogue, Temple Sinai. When her daughters began attending the synagogue preschool, Gail was asked to join its Board of Trustees and before long, she was a member of the Temple Board, a Sisterhood President and a teacher in the religious school. One major accomplishment during her tenure was to help in forming the synagogue’s first adult Bat Mitzvah class. Once her daughters were old enough to be in school full time, Gail was anxious to resume her teaching career. She started substitute teaching in Cinnaminson, but this did not last long. Her friend, and KBA physical education teacher, Marcia Blacker, suggested she meet with Rabbi Furman, KBA’s Head of School, about a position at the school. It was then that Gail’s KBA journey began! During her time at Kellman Brown Academy, Gail has been a team player whose willingness to “go where needed” and fulfill a variety of roles has been unmatched. She has taught second and third grades, been the librarian, acted as the Gan classroom assistant, and served as the mentor to new teachers. Most recently she helped to organize and set up the Diane Greenberg Memorial Library, which was dedicated this past November, 2018. Gail is most proud of the accomplishments of her two daughters, Beth and Deborah, as well as the wonderful life choices they have made; but what brings great joy to her life are her beautiful granddaughters, Sarah, Brianna, and Tori. Because Richard is not here to join in the festivities, it is with a heavy heart that she accepts this honor. Being a part of the KBA family for so many years has been a truly rewarding experience. She is extremely grateful for all the warmth and support that she receives each day. PTG Co-President and Representative to the Board of Trustees, Sue Glassman is this year’s deserving recipient of the Bass Family Volunteer Award. Along with her husband, Michael, Sue has been a dedicated member of the Kellman Brown Academy family for the past nine years. Their son Jason is currently an 8th grader at KBA. Sue regularly volunteers at many school events and activities including the annual Purim Carnival, Passover seder, and Walking Club. Every week she can be found delivering challot to each classroom, and for the past five years, she has chaired the twice-yearly Scholastic Book Fair, one of KBA’s premier schoolwide events. She has also been an avid participant in numerous school fundraisers including Jump Rope for Heart, Race for Education, Mitzvah Mall, and the yearly PTG Fall Fundraiser (e.g., Trivia Night, Meet the Real Beverly Goldberg, etc.). Prior to taking on her current role as PTG Co-President and Representative to the Board of Trustees, Sue served as PTG Treasurer for two years. Her volunteer efforts have not gone unnoticed in our larger South Jersey Jewish Community – in 2017 the Jewish Federation’s Young Adult Division (YAD) honored Sue with its Yad b’Yad Award. This award is given annually to young volunteer leaders in the community in recognition of their unwavering dedication and commitment to their organizations. Sue, Michael, and Jason currently reside in Washington Township, but are looking to move to the Cherry Hill area so that Jason can continue his education alongside the lifelong friends he has made at KBA. Sue is the office manager for Michael Glassman & Associates, a Voorhees-based law firm specializing in personal injury representation, claims support, settlement, litigation, and trial. We are most fortunate to have Sue as a volunteer, inspiring others and growing the spirit of volunteerism at KBA.